The American Military have a programme to improve the eyesight of their soldiers. The programme is called the United States Army Warfighter Refractive Eye Surgery Program (WRESP). The idea is to ensure America’s finest go into battle with 20/20 vision. Due to the nature of contact lenses and the risk of infection and subsequent development of keratitis, they are banned. Glasses are allowed as there is no infection risk. Due to the nature of soldiering however, they are risky for your average combat trooper to wear in battle. They can be cracked, and impair vision by accumulating debris such as dust, blood and shrapnel amongst other things. Soldiers rely on having excellent eyesight, and that is probably why many go for LASIK eye surgery procedures. Around 160,000 service men and women have received some form of refractive surgery. Despite this huge number, laser eye surgery in all of its forms may come to an end. 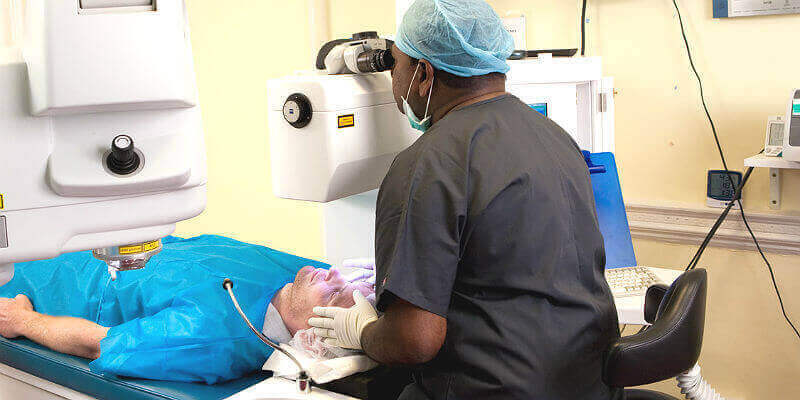 One of the problems with combat troops going down the LASIK route is that certain conditions may be present which prevent the soldier from undergoing treatment (This is why extensive tests are carried out prior to any form of laser eye surgery). Some troops could not undergo laser surgery due to their eye condition, eye prescription or potential post-operative problems. Visian ICLs are small contact lens type implants that are inserted into the eye. There are no lasers involved and they are positioned behind the iris in front of your natural eye lens. They are made from a bio-compatible collamer. According to reports, they cannot be felt in the eye and can be removed if needed. This gives it an advantage over other forms of eye surgeries which may potentially damage tissue to some degree. Visian ICLs have been specifically designed for people with active lifestyles like combat troops. In 2013, The WRESP carried out a study into Visian ICLs on the battlefield*. They treated 135 eyes with the procedure. Of these 135, 31 had improved vision compared to when they used contacts or glasses. 129 eyes had 20/20 vision. In the field, results were equally as impressive. There were zero reports of instability with the Visian ICLs, and one soldier who received shrapnel injuries noted his vision was stable throughout. In terms of a test, it is harder to see a better one. Since the study, the US Military has implanted over 3000 Visian ICLs. To learn more about this new eye surgical procedure, get in touch with our clinic support team at AVC. It is possible you may be suitable for this new treatment which does not require the use of lasers to correct your vision. So why not call AVC TODAY on 0800 652 4878 and request your free information pack or book your consultation to find out how we can help you. *Source: Gregory D. Parkhurst MD, Maximilian Psolka MD, Guy M. Kezirian MD. Phakic Intraocular Lens Implantation in United States Military Warfighters: A Retrospective Analysis of Early Clinical Outcomes of the Visian ICL. Journal of Refractive Surgery. 2011;27(7):473-481.